As noted earlier, the most miserably pointless and demoralizing election in memory (How pointless? 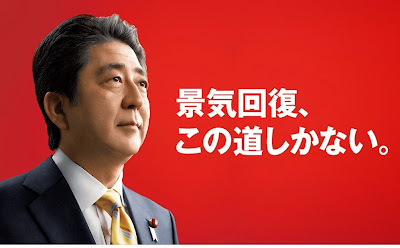 Prime Minister Abe Shinzo has decided to not make a single change in his Cabinet -- and you will not believe the reasons given for this decision: Link - Video J) has, for no good but plenty of bad reasons, unleashed a torrent of some of the best writing on Japanese politics ever. Tobias Harris - "When Is a Blowout Not a Blowout?" Mr. Harris and I, working from the same facts, came to essentially the same conclusions in the first hours after the election. I, writing for my blog, published first. Harris, because he is an assiduous worker bee, published a more comprehensive and readable article on someone else's calendar. Sheila Smith - "Another Four Years of Abe"
Smith points out a major problem facing Abe: what to do about Koizumi Shinjiro, the Liberal Democratic Party's most popular and saleable legislator. The latest Koizumi in the Diet received the most votes of any LDP winner despite spending almost no time in his own district campaigning. Instead Koizumi played the good soldier, campaigning all over the country for other LDP candidates. 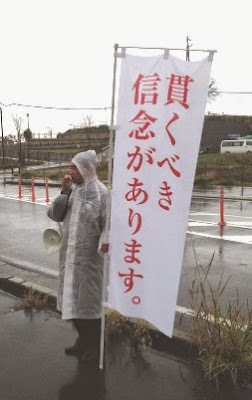 Abe tried burying Koizumi in Fukushima-related issues in the previous Diet. With Koizumi coming off a huge win, this may be more difficult. Corey Wallace - "Not too early to start thinking about the 2016 election?" As you can guess from the title, the soon-to-be Dr. Wallace (fingers crossed) does not think so. The Democratic Party of Japan has survived as an institution thanks to the large number of seats it has quarantined off in the House of Councillors. That block of seats comes up for reelection in 2016 - meaning that the new party leader, who is to be elected on January 18 (Why do they tarry? 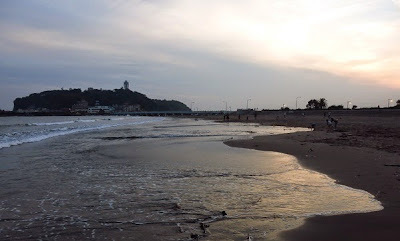 Amaterasu only knows) will have to quickly bring all the disparate groupings within the party into line and workout a modus vivendi with Japan Innovation Party. 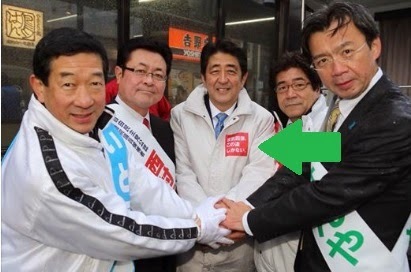 Wallace also sees the election as enhancing the powers of the DPJ's rokuninshu, the six center-right legislators seen as potential leaders (The Yomiuri Shimbun less charitably calls them "the Gang of Six") of the party. 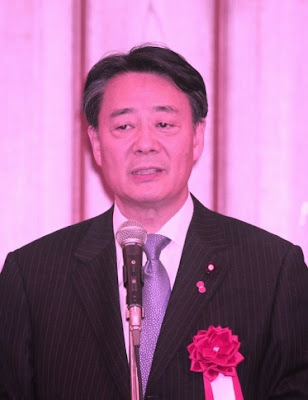 I hope he is wrong, as all with the possible exception of current party secretary-general and next party leader favorite Edano Yukio are infected with the leaden seriousness that hobbles the party at election time. Politics should be about joy and these guys (and they are all guys) are not the Joy Division. 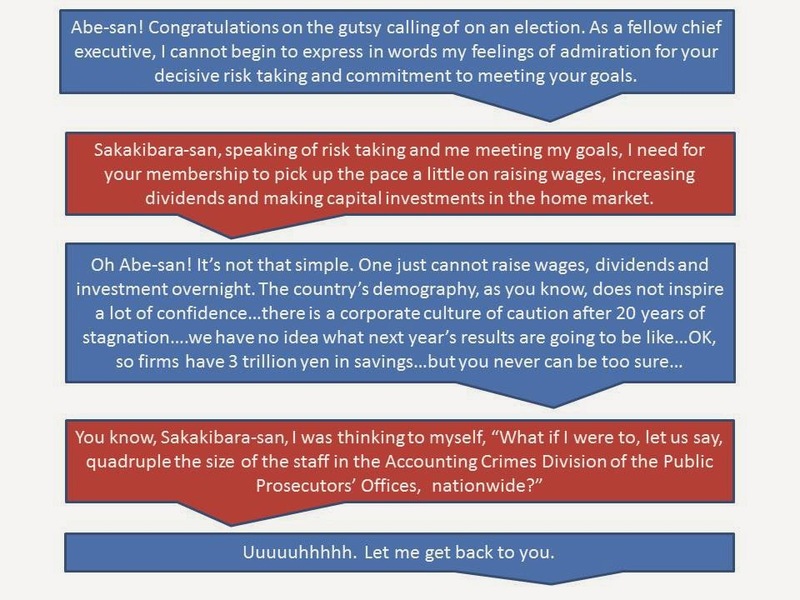 Okumura Jun - "Election 2014: The DPJ and JIP Need to Get Their Acts Together—Literally"
I cannot agree with Okumura Jun's conclusion that the DPJ and the Japan Innovation Party have to merge. 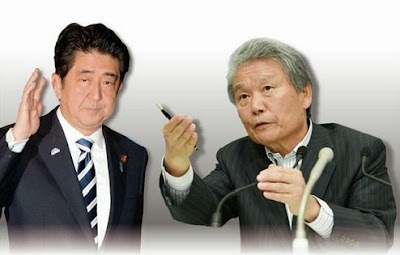 Any attempt to link up the DPJ's remnants of the Japan Socialist Party with Hashimoto Toru's populists would lead to an explosion. 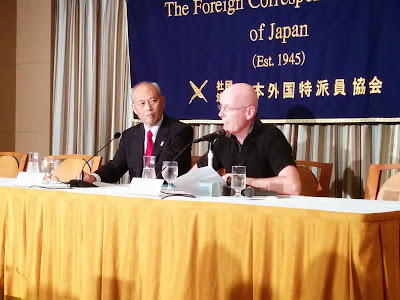 Better to leave the two parties seperate, each running their candidates in designated DPJ-only or JIP-only districts, to challenging the LDP's conservative corporatism on the national scale with two radically different critiques. Later - Many thanks to the commenters pointing out the broken link. Yesterday we all got a chance to see something we have not seen for a long time: a sober, somber and scared Abe Shinzo. He stumbled through his press conference, repeating himself, at one point launching his favorite overly poetic crutch phrase tsu-tsu-ura-ura ("in every harbor; in every inlet" -- the Japanese equivalent of "from sea to shining sea") twice in the space of 70 seconds. 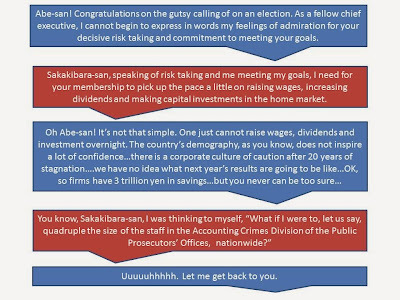 When a reporter from the Abe-hostile Tokyo Shimbun started out the Q&A with two simple questions about voter turnout and the schedule for the compilation of next year's budget (the latter being delayed due to the dissolution of the Diet and the election), Abe first feigned being flustered at being asked "so many questions" (Two is "so many"?) ignored them both, repeated the contents of his opening statement, and stared blankly, pretending he had answered either one. This is the guy whose party won 291 out of 475 seats in Sunday's election, with his ruling coalition retained its supermajority in the House of Representatives at 326 seats? 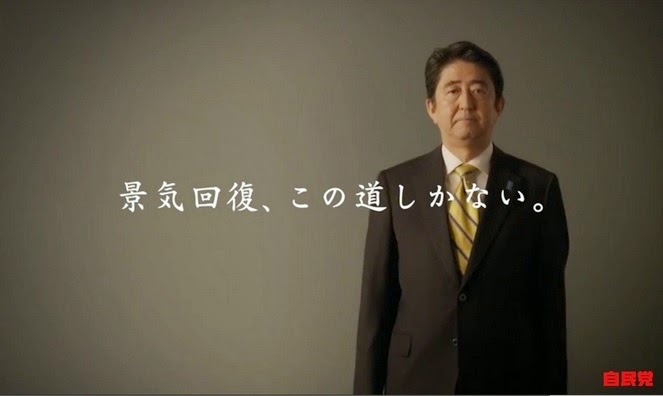 Whose main opposition, the Democratic Party of Japan only gained 11 seats during the middle of a terrible recession, and whose leader lost his district race so badly he could not return to the Diet via the proportional list zombie route? The LDP won on Sunday. The Komeito won on Sunday. When a corporation fails to hit the consensus earnings-per-share, its stock price tumbles. The company might post really great numbers. Nevertheless, by not meeting expectations, its performance is deemed a failure. Advance polling by both the major news organizations and the political parties projected the LDP would win over 300 seats. 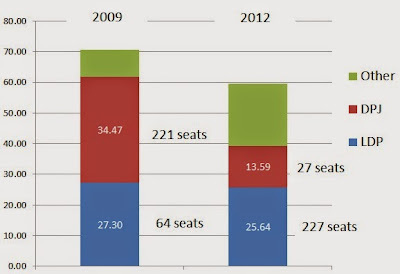 However, the party finished election night with 291, fewer seats even than the party held in the last Diet. 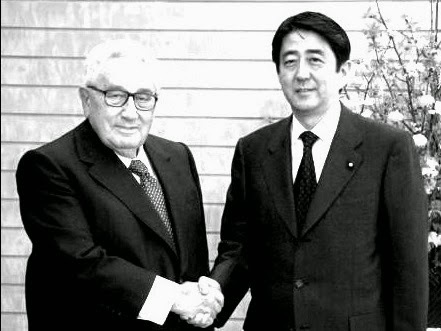 Early on Abe and the leaders of the coalition had tried to talk down the victory line in this election. However, by the beginning of last week 300 seats became the new normal (the initial high Kyodo projections so depressed the editors of the Tokyo Shimbun, one of Kyodo's owners, that the paper did not print the results on its front page). 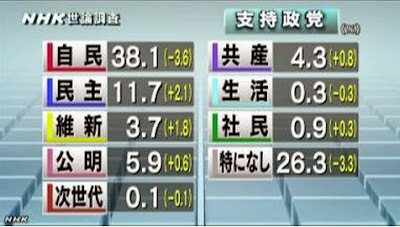 As the party leader who called the election, then failed to lead his party to its projected victory, Abe Shinzo lost. Abe Shinzo and the rest of the Cabinet conducted themselves with utter gracelessness in the last days of the campaign, traveling to the home districts of the leaders of the opposition, as if they were seeking to not just beat the opposition but decapitate and humiliate it. Abe and Finance Minister Aso Taro indeed finished their campaigns in a boisterous rally in Akihabara for Tokyo District #1 candidate Yamada Miki. District #1 is of course DPJ leader Kaieda Banri's district. These "grind their faces into the dirt" tactics have boomeranged. 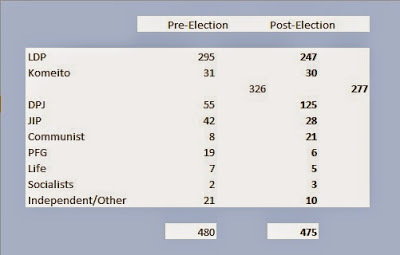 Not only did Kaieda again lose in his district, Yamada beat him by such a large margin that he could not be resurrected on the proportional list. Out of the Diet, Kaieda is out as leader. Unfortunately for Abe Shinzo, Kaieda Banri was the number one reason why voters would not vote and candidates would not run for the DPJ. 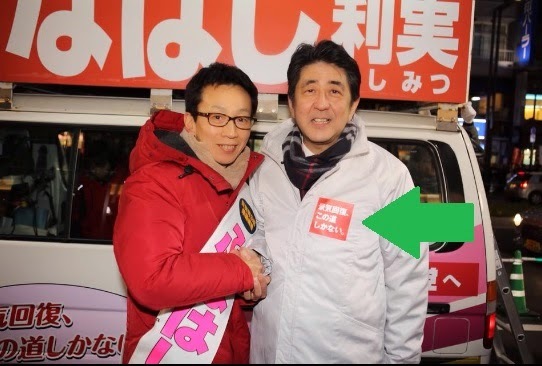 In driving him out of the leadership position, which he would have clung to in loud desperation had he been revived as a PR zombie, Abe has kicked out of office his best ally in terms of keeping the DPJ down and the LDP in power. 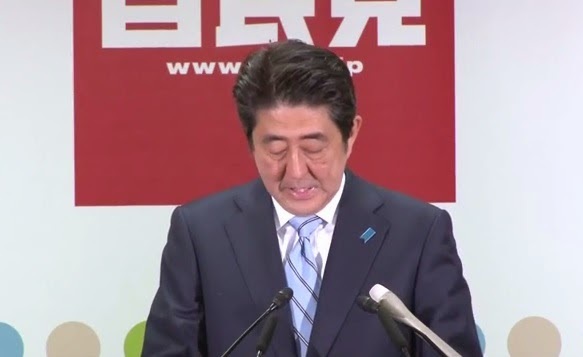 Abe Shinzo won the premiership a second time in what had been up that point the most dispiriting election in a generation, with voter turnout at its lowest ever. After two years of Abe Shinzo's leadership, the public is even more demoralized, with turnout falling by 7% over 2012's historic low. The first victory was deemed shabby at 59% turnout. Victory at 52% is shabbier still. Sure, the LDP finished with a million more votes nationwide in the proportional balloting than in 2012. However that gain of 1 million was out of nearly 5.8 million liberated by the breakups of the Japan Restoration Party and the Your Party. When you pick up only 15% of what was available, you are not a winner. 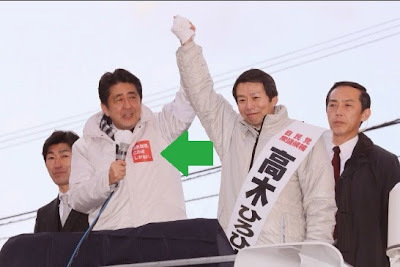 The hard right Party for the Next Generations, led by Abe Shinzo Best Friend Forever Hiranuma Takeo and Ishihara Shintaro, evaporated, going from 20 to 2 seats. The Your Party, a libertarian, pro-business, anti-bureaucracy party that won 5 million votes in 2012 (just TWO YEARS AGO) did not even survive to contest the election, its founder and Abe Shinzo Best Friend Forever Watanabe Yoshimi going down to defeat in a seat his family had held continuously for 50 years. Three parties could walk away from Sunday's elections with their heads held high. 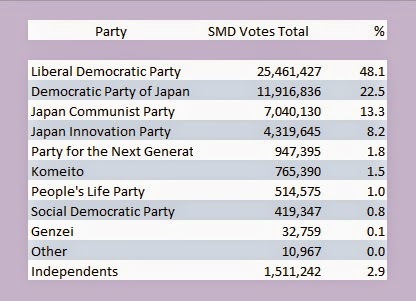 The first was the Japan Innovation Party, which clawed and scratched its way to a respectable loss of single seat when the party had been projected to lose over 10. 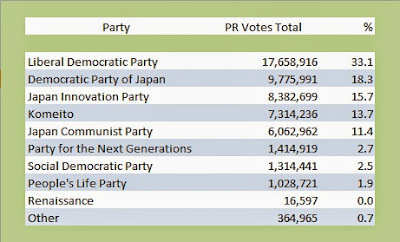 The two parties who gained seats, and in a big way, were the Komeito and the Communists. The Komeito, by picking up seats when the LDP lost them, has increased its marginal leverage in negotiations with its coalition partner. The Komeito already made it presence felt in the confused, cramped and unpopular July 1 Cabinet Decision reversing the government's stance as to the unconstitutionality of the exercise of collective self-defense. It is certain that as the focus of the nation's attention shifts to the 15 or so Basic Laws that have to be revised to implement the July 1 Cabinet Decision, the Komeito will make use of this increased leverage so that the policy choices more closely reflect the concerns of the Komeito base. As for the performance of the JCP, it was off the charts. 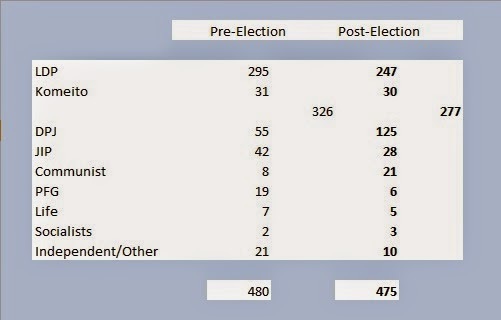 The JCP not only managed to land a district seat -- an outcome supposedly rendered impossible by the 1993 adoption of single member districts -- but the JCP now has more than the 20 seat minimum necessary for a party's being able to introduce bills to the Diet. The pacifist Left has been empowered, both in and out of government. Anyone thinks that with the Komeito murmuring louder and the JCP screaming, figuratively, Mr. Abe is going to take his party's victory in Sunday's election to go on and do anything more than pay lip service to more patriotic education, greater Self Defense Forces activity abroad and revision of the Constitution's Article 9 -- as he does in the above linked video -- then that person is in need of a seriousness transplant. Because, on Sunday, Abe lost. 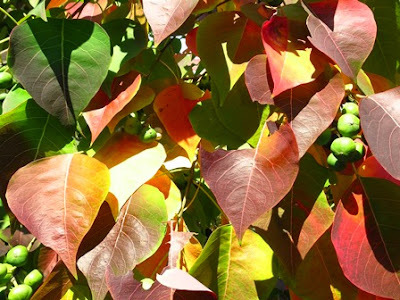 Later still- This post has been edited to remove typographical and style errors. I heartily agree with his contention that Abe has taken his biggest blunderbuss and shot it, leaving him little with which to discipline his allies and cow his enemies. 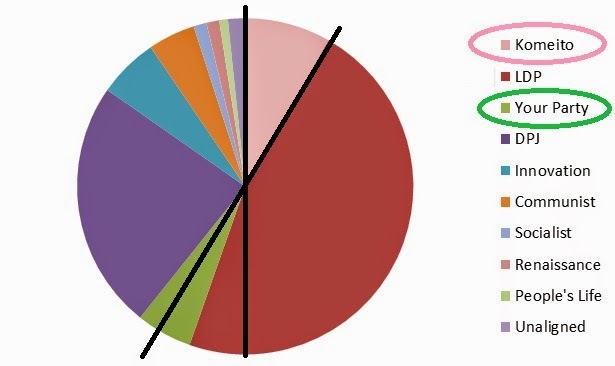 An election in two graphs and a screenshot. Public opinion polls this year are finding the lowest voter interest results ever recorded. a) Yes, that's right. In between 2009 and 2012, 10 million voters, one tenth of the electorate, just gave up. Guess how many more will give up this time. b) Yes, that's right. The LDP won 227 district races in 2012 with 1.7 million fewer votes than it received in 2009, when it won only 64 district seats. Highlights why redrawing the district boundaries, equalizing the populations inside the districts, and turnout are such big deals doesn't it? 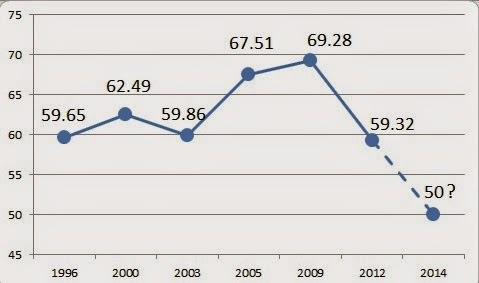 In 2012, final pre-vote support percentages for the LDP and the DPJ were 26.6％ and 16.6%, respectively. 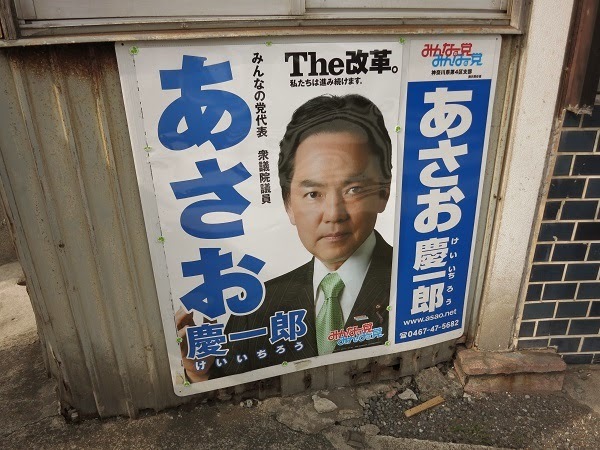 With the opposition contesting in too few districts, there is nothing that can stop the LDP from stomping to victory...and with the new, higher numbers for the Komeito, the coalition looks even more fearsome. I wish I could say that I am the original author of the metaphor that the first two arrows of the Three Arrows of Abenomics were anesthetic for the Japanese economy, administered in advance of the surgery of the third arrow, structural reform. I think the first person to suggest this metaphor was Richard Katz of The Oriental Economist. 1) The Yomiuri and the Nihon Keizai Shimbun both are basing their reporting on a survey with 120,000 voters called, 80,000 responses, and a 64% response rate. 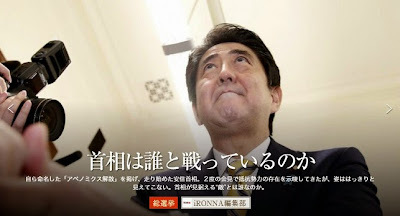 2) The survey the Yomiuri used found 42% of respondents Support the Abe Cabinet and 39% Do Not Support the Cabinet. In the Yomiuri survey done three weeks ago, 55% of voters contact said they Support the Cabinet, and 36% said they Do Not Support. Should we be talking about momentum (勢い) in our headlines so much, ladies and gentlemen of the press? 3) The Kyodo News is saying it polled 150,000 households and received 120,000 responses, a response rate of 80% (polling organizations normally report a 55%~65% rate of response). I do not doubt that if all these different polls are showing a distribution of voting patterns ending up at the 300+ seat figure for the Liberal Democratic Party that there is a significant likelihood of the party winning that many seat. I would like to wait until next week, when The Asahi Shimbun at least promises to have snapshots of every one of the 295 district races by December 11.